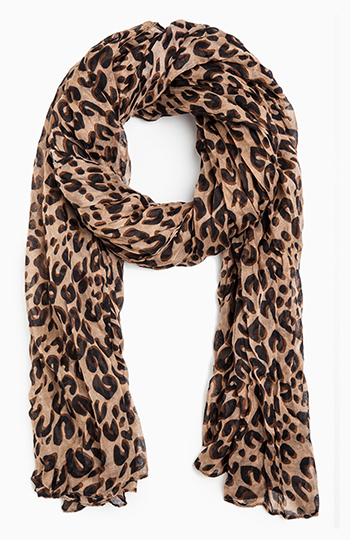 Lightweight, crinkled cheetah print scarf. 42 in. x 86 in. It's so big and wonderful; I love wearing it, and I can wear it with so much! Goes well with several outfits. Love it and the price! Very stylish and versatile! Great price,used a promo code for additional savings! I honestly love this scarf so much. It's ridiculously warm and it's perfect with almost any outfit. I've worn it three times this week alone. Love it, love the price. Great for the winter, goes well with the right color outfit!!! So gorgeous & so warm! goes great with any outfit! absolutely love it!